The two major components of the Davis Dyslexia Correction® program are Orientation Counseling and Symbol Mastery. Davis Dyslexia Correction always includes both of these components. Davis Orientation Counseling™ teaches dyslexic students how to recognize and control the mental state that leads to distorted and confused perceptions of letters, words and numerals. Through a simple mental technique, the students learn to turn off the thought processes that cause misperceptions. 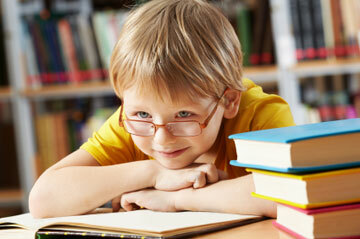 Instead, they are able to restore their minds to a relaxed and focused state, suitable for reading and other studies. Once Orientation is learned, the student is ready to build the conceptual skills that will allow them to overcome problems stemming from dyslexia. Davis Symbol Mastery™ gives dyslexic students the ability to think with symbols and words, so they can learn to read easily and with full comprehension. Using clay, students first work with the alphabet, numerals, and punctuation marks, to make sure that they have an accurate perception and understanding of these symbols. Students then use clay to model the trigger words--the short abstract words, frequently encountered in reading, such as and, the, to, or it. These words cause problems when dyslexic students cannot form a mental picture to go along with them. Through Symbol Mastery, the student makes a three-dimensional clay model of the meaning of each word, together with a model of the letters of the words. With this approach, learning is permanent. Dyslexia and Learning Solutions Ontario clients are also provided with the Davis™ Reading Exercises, as outlined in the "Three Steps to Easier Reading" chapter of The Gift of Dyslexia. Because dyslexics tend to look at words as objects, they become prone to identifying words by their shape, rather than "sounding out" the letters within them. These reading exercises provide clients with fundamental skills that create certainty and prevent guessing. The Spell Reading, Sweep-Sweep-Spell, and Picture at Punctuation exercises were designed to improve left-right eye tracking, recognition of letter groups as words, and comprehension. These exercises boost confidence and certainty - which is a welcome relief for clients who know what it feels like to be uncertain while reading!